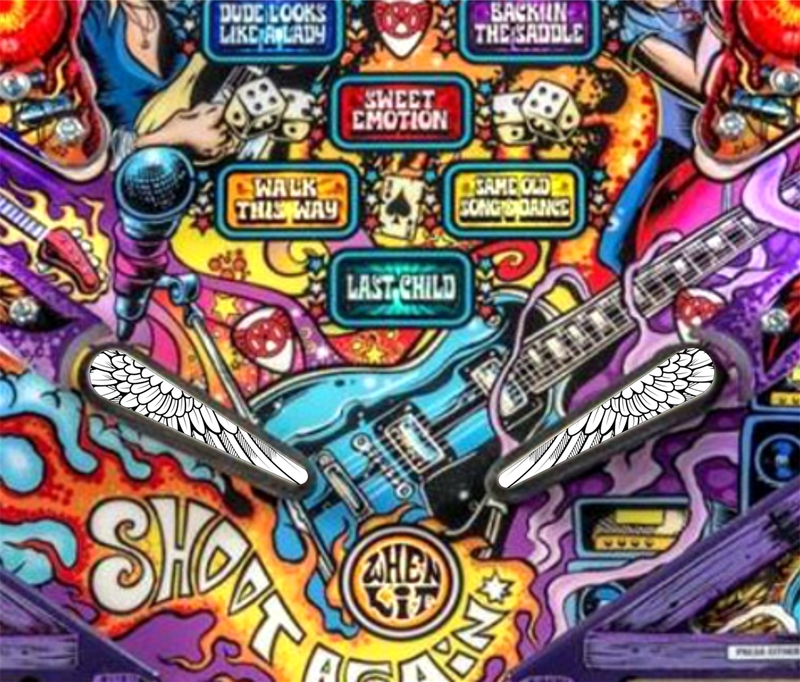 This listing is for a pair of our "Wings" designed pinball flipper bat topper MODs. This MOD truly makes your playfield come to life and adds depth and character to your plain 'ol designed flipper bats. These come in pairs... so a quantity of 1 gets you 2 MODs (a set of left and right). These are made from sturdy enhanced acrylic plastic pieces that have heavy duty 3M tape on the back for long lasting play and durability. These are EASY to install and will last longer than the flipper bats themselves. Although shown in our White w/Black color combo... there are a variety of colors you can get them in depending on your personal style and how you want to "trick out" your flippers. This MOD can be applied to any 3 inch molded flipper bat commonly used on Bally/Williams, Data East, Sega, new Stern and other contemporary pinball manufacturer games. NOTE: The "Wings" is a copyrighted image and we (ULEKstore) own the rights to use it. However, the flipper bat MOD is strictly an aftermarket MOD and by no means is affiliated with Stern Pinball, Inc.